Do you love 3-part cards to use in your homeschool? Did you know that they started out as Montessori 3-part cards, but they do not have to be exclusive Montessori materials? We use them all the time at home for any and every subject because they work for learning! They really do! So these lovely Montessori cards are for every kid to learn from the names of the parts of the body to skip counting to the names of the planets! These are printable Montessori materials, but can be used by anyone who knows how to use 3-Part Cards. 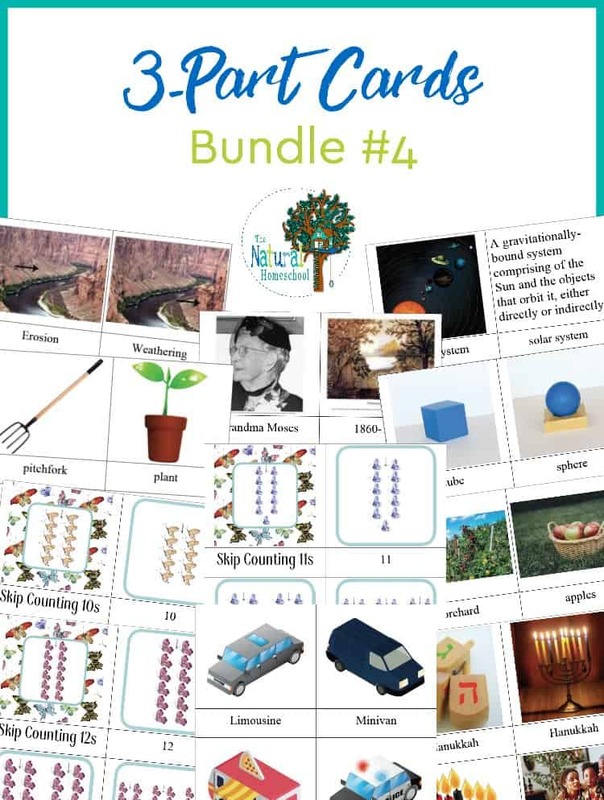 Don’t worry, this bundle PDF file includes a link on how to use 3-part cards for Montessori or for homeschool in general. You will love this free resource. If you are looking for inexpensive Montessori materials for your homeschool, this is the bundle for you!